Look your best every day of the year with Servilles Express blow wave and dry styling services. Prices start at just $40 for dry styling. View our menu below. You are welcome to drop in anytime but bookings are always recommended to secure your preferred appointment time. Please note Style Express is a dry styling service, please arrive with washed and dried hair. Expert colour and blow wave. Exceptional price. 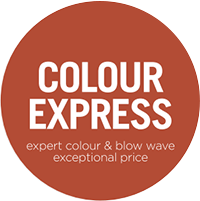 Visit your local Servilles Salon on a Tuesday or Wednesday between 9am and 4pm and receive an expert colour and blow wave for an exceptional price with Servilles Colour Express service. Simply phone your preferred Servilles salon, and mention that you’re booking a Colour Express service. Express services are performed by selected Level 1 Stylists or Senior Colour Specialists only, they are not performed by Servilles Advanced, Senior or Platinum Stylists or Salon Creative Directors. Any additional services requested on top of your Express service will be quoted in consultation and you will be charged as required. Style Express services are simple 25 – 30 minute dry styles that must be selected from one of our 6 menu styles. Any adaption to the menu styles or additional styling requested, the service will be charged as a simple hair-up service $69. Bookings are not essential but are subject to availability. 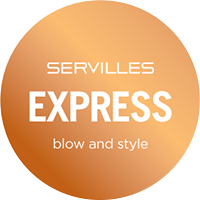 Blow & Style Express services are available Tues – Sun where the Servilles salon is open. Colour Express services are available Tues – Weds between 9am to 4pm. You must mention you are booking an Express service over the phone when booking. Express services are not available in conjunction with any promotional vouchers or offers. Express services are not available at Servilles Academy Salon, Colour Express services are not available at Servilles Ponsonby salon. Please contact your preferred salon for further details.